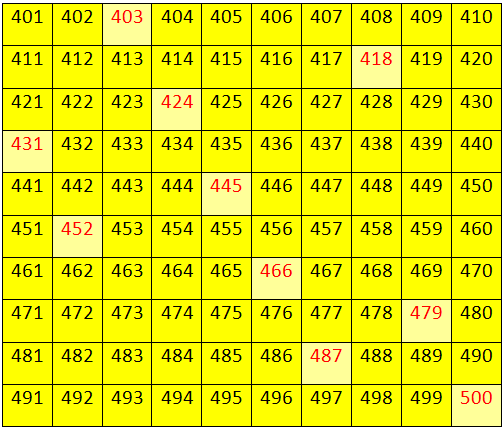 Worksheet on numbers from 400 to 499 will help us to practice the numbers from 400 to 499 in orders. 3. Name the hundreds, tens and ones for each number. (i) Write the number just before four hundred forty. (ii) Write the number just after 444. (iii) Add the place value of 2 in 452 and the place value of 0 in 409. (iv) Work out the sum of 421 + (60 ÷ 3). 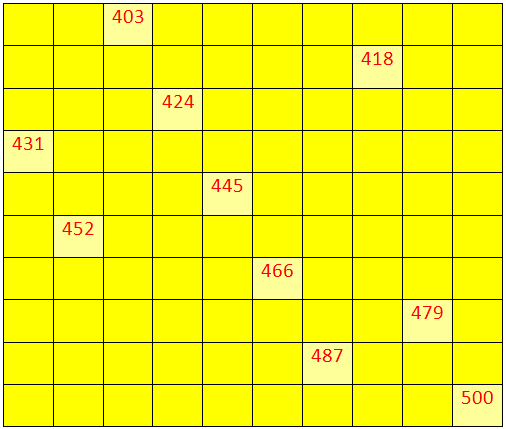 (v) Write the odd numbers between the numbers 404 to 414. Answers for the worksheet on numbers from 400 to 499 are given below to check the exact answers.